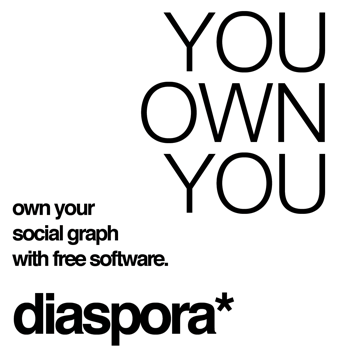 Remember Diaspora? You’ll be forgiven if you don’t. Since they received a lot of hype as the open-source “Facebook Alternative” this past May, they’ve been quiet. In fact, they hadn’t given any updates on their progress since early July. But today they’ve re-emerged with some updates. Notably, they say: “We have Diaspora working, we like it, and it will be open-sourced on September 15th.” That’s just three weeks away. That’s good news. But even though it has only been three months since the initial buzz began about the project, the online world has slightly changed. Back then, it seemed as if everyone with a voice on the web was screaming bloody murder about Facebook and their privacy issues. That plus a timely New York Times profile helped Diaspora raise over $200,000 from the crowd-sourced fundraising site Kickstarter — the most ever raised on the site and an amazing $190,000 more than Diaspora’s original goal. But today, again, just three months later, Facebook is still growing like a weed. Controversy keeps bubbling up, but it just as quickly subsides. We all forgot to quit. And so the question remains: will a project like Diaspora be able to get any traction given Facebook’s 500 million person head start? At the very least, Diaspora is being realistic about what they can and cannot do. In the post today they’ve noted that they have for now scrapped the idea of plugins and APIs in favor of “simple and high value features.” I like the sound of that. We are spending a good chunk of time concentrating on building clear, contextual sharing. That means an intuitive way for users to decide, and not notice deciding, what content goes to their coworkers and what goes to their drinking buddies. We know that’s a hard UI problem and we take it seriously. And while the open-sourcing of the project begins on September 15, they won’t be done working on it. Two of the members of the core four-person team are taking a leave from their studies at NYU (this was a Summer project for all of them) and the work will continue long-term. Meanwhile, the team notes that it is time for some R&R, as three of them will be attending the Burning Man festival in California. Presumably, those pictures will only be shared with their “drinking buddies” list in Diaspora.